Natural Cat Care Blog Never say "just a cat." One of Cynthia's beautiful rescues-"Calia"
When I heard about Bee Holistic Cat Rescue and Care, in a neighboring town, I couldn’t wait to interview the owner, Cynthia. We had a good talk last week. 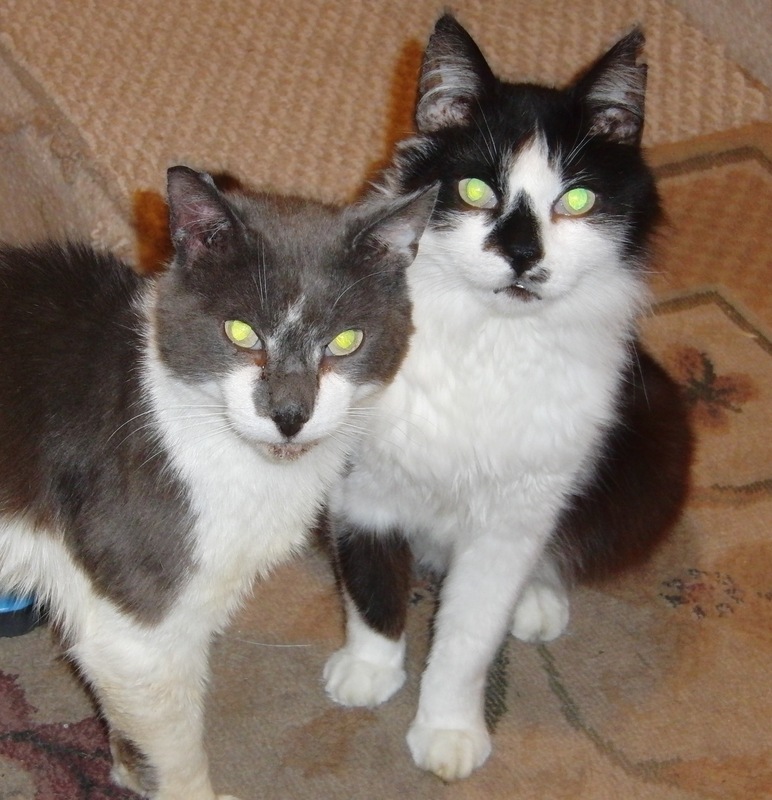 Cynthia took it upon herself to start a cat rescue “twenty-some years ago” when she saw neglected cats around her office. Over the years, her rescue effort grew and became more natural and holistically focused. She doesn’t do holistic just half-way. She take a strong position on some controversial cat care issues. Many of us who already have cats, or who have very busy schedules, may not be able to put all she advocates into practice. But read on, as Cynthia provides good food for thought, as well as tips and an inspiring story. Liz: Cynthia, I’m excited to be able to talk to you. What’s your favorite thing about this work? Cynthia: Seeing sick, debilitated cats bounce back to vibrant health, often within two weeks or so, simply through use of a good diet. Liz: What’s your most recent happy story? Cynthia: Oh, Quinn, Quinn, Quinn! I should have taken pictures [of what he looked like before]. My friend is overwhelmed. You know, she’s down for days with migraines and she had a cat who had been left behind when his guardian moved into an apartment where she couldn’t take pets. You know, you just can’t say no. And so she winds up with this lady’s five cats! Quinn was one of them. He was four years old and had been outdoors all his life at her home. He had never had much attention. He was not doing well, so she brought him over to me. When he got here, he was almost in a fetal position. His eyes were downcast and half closed. Both his front legs, and part of his back legs were wet from drool. He had a tumor in his mouth. Not a typical canker sore tumor. It was some sort of a cancerous tumor. And, his coat was terrible. And he had a claw that had grown into one of his pads. He had lice. Let me think…anything else? He was a wreck, and the short version is that within a month he looked like an entirely new cat, psychologically and physically. For the lice I did use a topical poison because I don’t know any better way, and it’s urgent. And lice are very pernicious, although my cats probably wouldn’t have gotten them. I just fed him really well. I gave him what he would eat, which was mostly sardines. Tiki Cat can of sardines, lots of sodium…but it’s relatively good. If your going to get canned food it’s one of the best. Then I slowly started switching him over to more and more organic until he was eating entirely organic with some enhancements (like fish flakes) to coax him over to the new food. Every day he was better, noticeably better. His coat became soft and the stains on his arms and legs diminished. And he quit drooling. Dear Quinn–he’s on my website, too, on my blog. Quinn (left) looking healthy and new! After he was well, he went back to my friend’s house. He’s more comfortable there, and can always come back here if he needs to. Liz: Wow, that’s a great story. What about the tumor? Cynthia: My friend is working on it. You can’t give him anything topically of course, at least not anything I know of. But I’d been giving him internal neoplasene—about a milliliter a day. The dosage is “to tolerance”. In other words, give as much as they can take without getting diarrhea or vomiting. I didn’t press it. The tumor started to break up. She’s continued to give it to him at home and I hope she’s regular with it. Liz: Can you highlight a few things you do differently than regular cat rescues? We feed raw, organic food, and insist that our adopters do as well. We do not vaccinate, and insist that the adopters do not either. We do not spay/neuter before systems are mature (at least six month of age before surgery). Liz: What converted you to the holistic approach? Cynthia: I do a lot of reading, and I have a curious mind. There’s just vast amounts of information indicating that a lot of the mainstream protocols are dangerous. And of course a good dose of common sense is always appropriate. For instance, if you put a pesticide on an animal—gee, you know, that might not be a good idea. …it’s very common, in shelter and other practice these days, to do premature spay and neuter before the cats systems are developed, at six months or older. But I think most people would instinctively say, “that’s not a real good idea,” if you wanted to do it to prepubescent human, right? Liz: I see–because their hormones and systems haven’t finished developing. Cynthia: And I learned about industrial farming practices and how damaging the food that results from them is, in addition to the terrible cruelty…and so on. And I was fortunate to meet a really good holistic practitioner in Oakland, Dr. Jenny Taylor of Creature Comfort Holistic Veterinary Center. Many people are–for whatever reason—trusting in the status quo. I follow teachers I have come to trust, and my own experience. Liz: That’s how I got into holistic health–way back. It was for my own health. I was trusting conventional practitioners who turned out to be really wrong. And I had to figure it out myself. In a few days I’ll post Part 2, where Cynthia talks in more detail about how she feeds her cats and about keeping the right perspective when times get tough, plus some final words of wisdom. 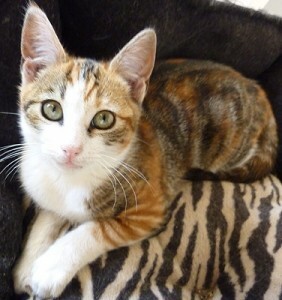 Cynthia invites you to visit her site and even to call her if you have questions about holistic cat care! 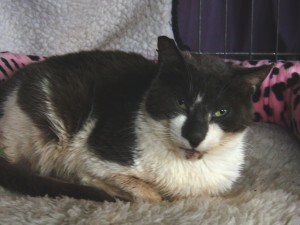 All photos in this series are courtesy Bee Holistic Cat Rescue. Welcome, cat lover! My name is Liz and this blog is devoted to the health and happiness of cats and their delightful, creative, intelligent, busy humans. I'm a writer and artist with a holistic nutritionist background who has always been inexplicably obsessed with felines. 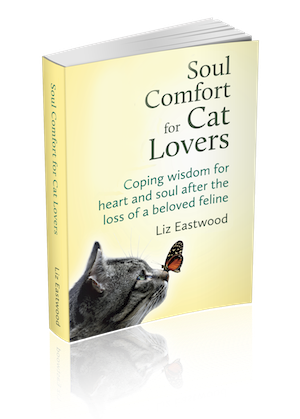 I seek to save cat lovers time and heartache and to celebrate our "soul cats." 8. Which plants are safe (and not safe) for cats? 9. The feline soul mate–do you have one too? 10. How long can a cat live? The information provided here should not be a substitute for professional veterinary treatment. The advice here is general and the authors cannot be held responsible for unexpected reactions to suggestions contained herein. Do not try to diagnose or treat a feline health problem without consulting a qualified veterinarian. Some of the products mentioned here contain affiliate links, which means that if you happen to purchase after clicking, part of your purchase supports this blog at no extra cost to you. 1. I won't provide an affiliate link for anything I wouldn't purchase myself. 2. If you do purchase through an affiliate link, thank you for supporting this work and please know that I really appreciate you! © 2019 Natural Cat Care Blog. All Rights Reserved.